Stationery can be purchased online or in store from Warehouse Stationery from 12th January or you can download stationery lists by clicking on the link: 2018 Stationery Lists. What a success the annual can drive for Auckland City Mission was. 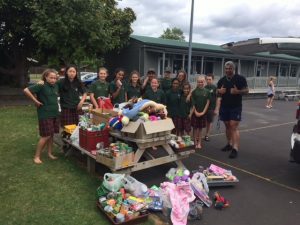 Thank you to all of our families who kindly donated for the Auckland City Mission appeal. Thank you to the Student Council for organising this to help those less fortunate. 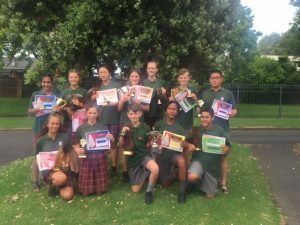 On Friday 1st December we celebrated the achievements of our Year 8 Class of 2017 with a special assembly.